A Coast Guard aircrew rescued a group of four people from a sinking fishing vessel Wednesday night near Martha’s Vineyard. 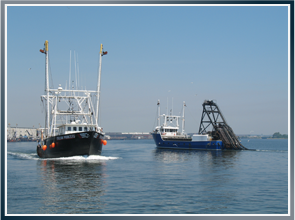 The fishing vessel, named F/V SEA STAR, radioed the Coast Guard Sector Southeastern New England at 6:20 p.m. that night. They reported that their vessel was sinking and taking on water, and that they were putting on their immersion suits in preparation. Aircrews from an MH-60 Jayhawk helicopter and HC-144 Ocean Sentry arrived on the scene after redirecting from a training flight. The aircrew realized that the sinking vessel could not be saved, so the helicopter ordered the fishermen into the water and sent a rescue swimmer to airlift the crew safely into the helicopter. The survivors were flown back to the Air Station Cape Cod where they were medically evaluated by Emergency Medical Services and reported with good health. This incident occurred after a similar story near Nantucket, where a vessel named the F/V MISTY BLUE sunk last December. With four members onboard, the ship also issued a distress call around 6 p.m. when the boat rolled over. Two men were saved by the F/V ENTERPRISE, but unfortunately, the bodies of the two other fishermen were recovered from the scene.